Troll and I is a platforming and puzzle solving game for up to two players, but at times, leaves one player to do nothing but wait for the other to progress. As the game carries on, elements from other more popular games can be seen, leaving Troll and I feeling like a soulless chore. 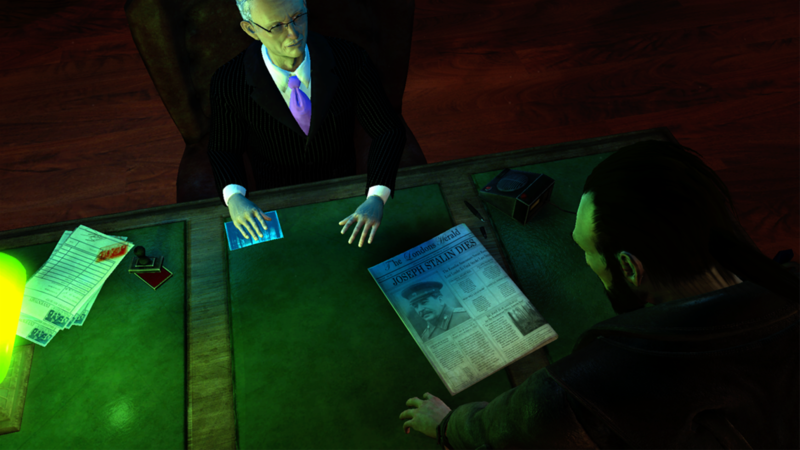 The driving force of the action in the game (just keep running) is presented through a series of cutscenes. Players are introduced to the plight of our unnamed Troll who is being hunted by two evil hunters, who are evil due to them plotting inside of a large mansion on a rainy night. The story then moves to Otto, who is also a hunter albeit the good kind, as he hunts boar through stealth and cunning, but why this isn’t painted as an evil action is beyond explanation. Our two heroes have yet to meet, so the tutorial sees Player One taking control of Otto, using stealth, crafting and spear-throwing to take down boar. The mechanics in play feel lifted from more established games, like Assassin’s Creed or Horizon: Zero Dawn, but are poorly imitated in Troll and I. When Otto tried to throw spears he would be too far from prey, as the game has no indicator of what is or is not close enough to land projectiles. But, when Otto got closer he was quickly detected, causing the boar to flee far faster than Otto could pursue. This sneak-throw-miss-pursue-repeat loop caused the tutorial to last far longer than it had been designed to. Perhaps the most discouraging thing from the tutorial was that my partner, eager to join me, was instead forced to watch me try to hunt boar. Troll and I promises co-op, but waits to make good on that promise until player one has cleared basics of using Otto; doing nothing but watching your partner learn to hunt boar and climb for thirty to forty-five minutes is utterly boring. Unfortunately, the tutorial was not the end of the co-op pacing problems. The game is full of instances where one player engages with the world while the other player does nothing more than watch their partner play. Early on, Troll and Otto must work through a valley and remove a downed plane that is blocking their way forward. Otto is given foes to fight, walls to climb, collectibles to find, and simple platforming puzzles to complete. Troll is tasked with waiting for Otto to finish these things before they can progress; a dynamic duo they are not. The game ended up being full of moments like this, where one player is allowed to engage in the game world while the other is kept locked out - sometimes quite literally. Later on, I found myself fighting large groups of foes while Troll, the more qualified fighter, could only watch as my screen was full of action. 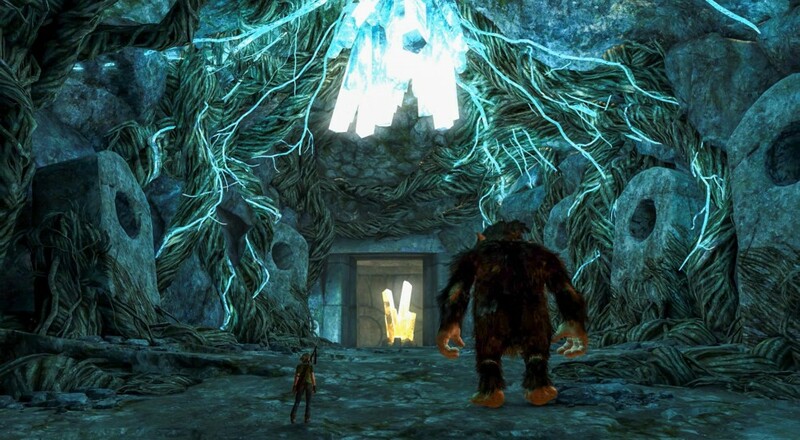 Even further in the game there was a cave system with what looked like Troll-sized puzzles, but ultimately had Otto-sized solutions, such as a large system of gears that could only be moved once Otto pushed a small rock into the right place. This makes the game feel like two players are alternating play time rather than cooperating towards a common goal. If one player were to play alone, they could switch between the characters to complete the objective just the same. It really feels as though the second player was added without thought; one player mindlessly standing around while the other climbed, fought, and played the game.